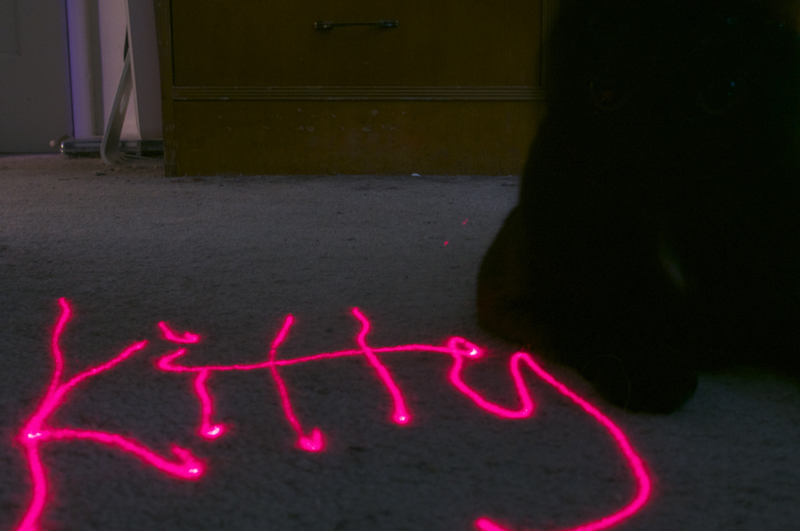 …in which I play with a laser pointer, long exposure settings, and a dark room. Kitty got all excited about the laser pointer, but she had calmed down a bit by this take. My hand is a pillow. This entry was tagged kira, kitty, laser, photography. Bookmark the permalink.